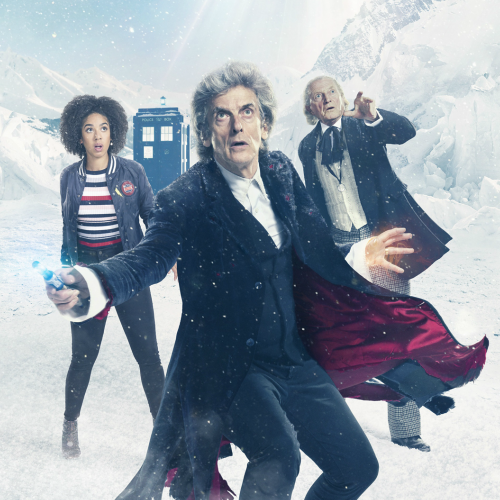 Last year’s Doctor Who Christmas special, Twice Upon a Time, has made the shortlist of this year’s Hugo Awards. Twice Upon a Time, which saw Peter Capaldi’s Twelfth Doctor regenerate after four years in the TARDIS, is nominated in the Best Dramatic Presentation, Short Form category. The special was written by Steven Moffat and directed by Rachel Talalay for BBC Cymru Wales. As well as acting as Capaldi’s swansong, Twice Upon a Time also marked Moffat’s departure after eight years as showrunner, with the writer having penned four of the show’s Hugo Award-winning episodes to date. Although Doctor Who’s last win was in 2012 for Neil Gaiman’s The Doctor’s Wife, the show has been nominated for a Hugo Award every year since 2006, picking up a total of six Hugo Awards overall. Other finalists joining Doctor Who in its category this year include two episodes of The Good Place, the Black Mirror episode ‘USS Callister’, and the Star Trek Discovery episode ‘Magic To Make The Sanest Man Go Mad‘. Voting in the Hugo Awards is now underway, with only members of the World Science Fiction Convention (Worldcon) eligible to vote. The winner will be revealed at a ceremony at Worldcon 76 in San Jose, California on Sunday 19th August 2018.